When Disney declared itself the Galactic Emperor of Star Wars—after tricking people into supporting its evil hunger for power by staging an elaborate fake war between droids and clones—a number of existing Star Wars projects had to be left behind. Namely, Cartoon Network’s Clone Wars series, which had somehow become pretty good by the time it was cancelled. Netflix managed to grab a bunch of unaired episodes when it got the rights to the whole series earlier this year, but it was obvious that the show had been forced to leave a number of story lines unfinished. In true Star Wars fashion, though, just because something is dead doesn’t mean it can’t come back as a ghost, so—much like Obi-Wan, Anakin, and Yoda—The Clone Wars has returned to give us all a knowing nod at the end of the movie. Or, to put it more accurately, the Star Wars website has just launched a new section called “The Clone Wars Legacy,” and it features four never-before-seen episodes of the series. They comprise an arc titled “Crystal Crisis On Utapau,” and though the animation remains incomplete—it ranges from hideous early ‘90s CG to simply terrible early ‘90s CG—it seems like all of the voices and sound effects are in place, at least. It’s not perfect, but it’s a new Clone Wars adventure, so that’s something. The site also features concept art for the Darth Maul-starring “Son Of Dathomir” story arc, which is now being adapted into a comic, and concept art for the “Dark Disciple” story arc. The latter would have starred former Sith assassin Asajj Ventress—who would’ve finally had hair—and dreadlocked Jedi Quinlan Vos. The story is apparently being turned into a novel that will come out some time next year. 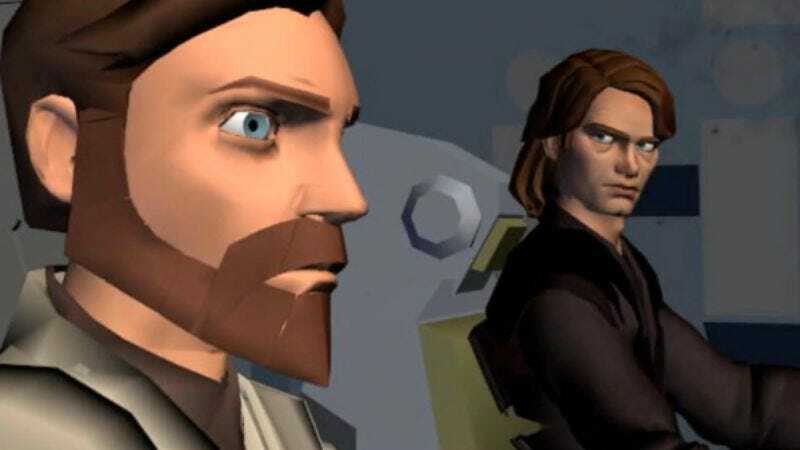 So The Clone Wars may be dead, but at least Disney is letting the Star Wars people release these last few looks at what might have been if it had continued.